LinkedIn has over 450 million members and is utilized by nearly every Fortune 500 organization. Are you making the most of this professional branding opportunity? 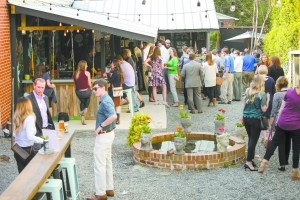 It's that time of year again to join with fellow UGA alumni and friends for Bulldogs After Business Hours at Society Garden on Wednesday, November 28. Come catch up, swap business cards, and enjoy the wonderful Fall weather as we look forward to cheering on the Dawgs in the SEC Championship. Hope to see you there! Come join fellow UGA alumni for a night of fun basketball with the whole family. Purchase discounted tickets and sit with fellow UGA alumni, friends and family. Hope to see you there!